WHILE business groups warn that legislation can raise costs, companies say they are ready to raise the re-employment age from 65 to 67 in early 2016. "I don't see any big issue from raising the age by another two years. It's not that much of a difference, especially in a tight labour market,'' said Mr Edlan Chua, who heads restaurant chain Paradise Group. Mr Chua's comments reflect the views of almost all the 15 companies interviewed on a call to the Government to make it a legal requirement for companies to raise the re-employment age to 67 by the 2016 national Budget. It was made this week by MP Halimah Yacob, head of the People's Action Party Seniors Group (PAP.SG) and Speaker of Parliament. Bosses in sectors ranging from home renovation to medical research took her call in their stride, saying that it would send a strong signal that older workers with skills and expertise are needed. Said Mr Soh Chee Keong, chief executive of facilities management firm Synergy FM International: "Nowadays, it's hard to get skilled electricians and carpenters, so if the law encourages them to stay on and they can do the work, why not?" But employer groups fear that making it the law could lower productivity. "Between your early 60s and late 60s, there can be a difference in the amount and quality of work you put in," said Mr Kurt Wee, president of the Association of Small and Medium Enterprises (Asme). Madam Halimah wants the Government to hasten the pace in legislating the re-employment age, a point made in the position paper the PAP.SG submitted on Tuesday to the Ministry of Manpower (MOM). The group believes government incentives to coax companies to raise the re-employment age will not be as effective as legislation, especially among companies in the non-unionised sector where most people are employed. These incentives will be spelt out next year. Mr Wee said he preferred to see how this "promotional approach" turned out, and added that 2017 or 2018 would be a "more reasonable'' deadline for implementing the law. The reason is that companies are grappling with issues arising from the 2012 law that requires them to re-employ eligible workers till 65 after the retirement age of 62. The issues include integrating an inter-generational workforce. 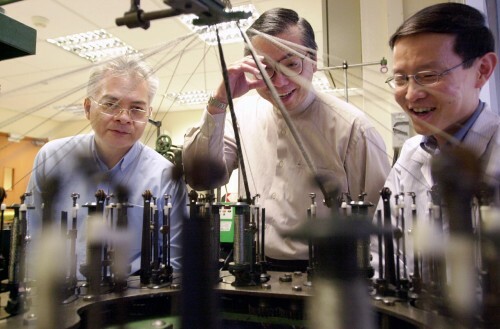 "It takes time for the ground to return feedback to the policymakers," said Mr Wee. Singapore Business Federation chief operating officer Victor Tay said legislation may also make business practices more rigid and, in a recession, could cause a company to collapse. "Legislation is hard to reverse - voluntary measures are more efficient." Singapore National Employers Federation executive director Koh Jun Kiat said rehiring may also affect renewal plans. Workers' pay forms a major portion of a company's costs. Despite the option to reduce the pay of re-employed staff, a MOM survey highlighted in Parliament shows two in three workers who turned 62 last year did not suffer pay cuts when re-hired. Companies, especially those shunned by young workers, often have to rely on older workers. Recycling company Wah & Hua, for instance, said more than one-third of its workers are older than 55. But most employers said age is unlikely to affect their staff's productivity. Said Ms Fion Ng, general manager of renovation firm Grandwork Interior: "Our older workers often take less medical leave than our younger staff."